Thirty-year-old Elise Andrews couldn’t bring herself to marry Griffin, her childhood friend turned sweetheart, so she let him walk away. Eight months after their breakup, she arrives in her hometown of Chicago on Christmas Eve and hears a voice from the past calling her name in the grocery store. It’s Griffin’s mother, Janice, who invites Elise over for a neighborhood gathering of eggnog and carols. Walking into Janice’s house sends Elise tumbling headlong into memories of her relationship with Griffin—and with Janice, who exudes the kind of warmth Elise ached for after her own mom passed away when she was six. But Griffin has moved on, and suddenly Elise doubts her decision to give him up and lose her chance at being folded into his wonderful family. Confused and reeling, she goes in search of an answer to a universal question: How do we say good-bye to people we’ve loved without losing everything they’ve meant to us? 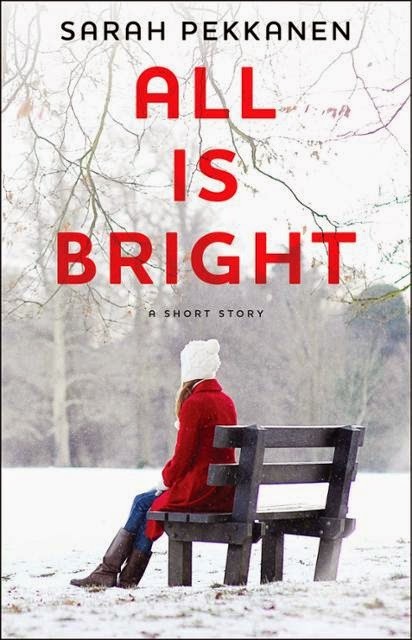 Heartwarming and witty, All Is Bright is a charming story about coming home for the holidays—and finding gifts in the most unexpected of places. Sarah Pekkanen is the internationally bestselling author of The Opposite of Me, Skipping a Beat, These Girls, The Best of Us, and Catching Air, as well as a series of linked short stories for ereaders. Her work has been published in numerous magazines and newspapers. She lives with her family, including a rescue dog and cat, in Chevy Chase, Maryland. It ended way too soon for me. That is the bitter part. The rest was super sweet. I like the characters, and have a feeling we are set up for the next book to be spectacular reading. You just know everything has to come together, though nothing but questions were raised in this one. I feel like I can't wait for more, I just have to know if she stays or goes. Does she come back and get the guy or let him go? **No compensation was received for posting. Compensation will be earned if purchases are made from the links within. This copy was obtained free. Opinions are owned by this site. I really like Sarah Pekkanen. I remember reviewing her first book years ago. Maybe she'll expound on this story or write something similar as a full novel. Have a good week, Freda! I'm sure there will be more in the first book, which is out now. I have The Best of Us but still haven't read it. Glad you enjoyed this one. I read Skipping a Beat and really enjoyed it. Thanks for the review!